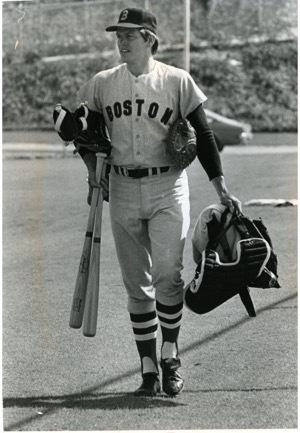 Carlton Fisk won both the Rookie of the Year award and Gold Glove award in 1972 with the Boston Red Sox batting .293, belting 22 home runs and 28 doubles. In his career, he caught 2,226 games, more than any other catcher in history. He was an 11-time All-Star and hit 376 career home runs. He was inducted into the National Baseball Hall of Fame in 2000. 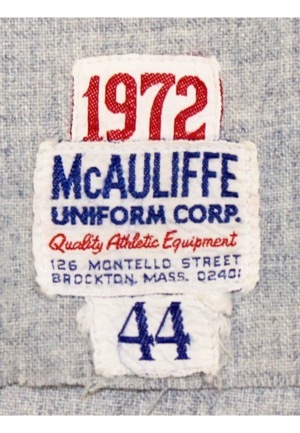 On the front left tail is the McAuliffe manufacturer’s tag. Adjacent above is a box tag with the year “1972” and adjacent below is a box tag with the size “44”. The jersey has been straight cut below the tag line presumably for player comfort. Across the chest reads “BOSTON” and across the back is the player number “27”. All numbering and lettering is done in navy blue on red tackle twill. 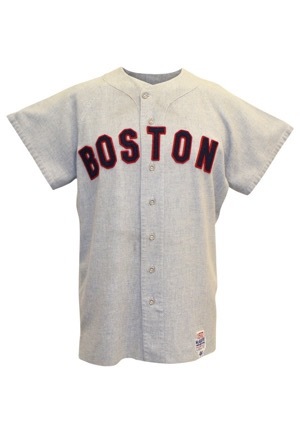 1972 was the first year the Red Sox introduced knits as they transitioned from flannels. 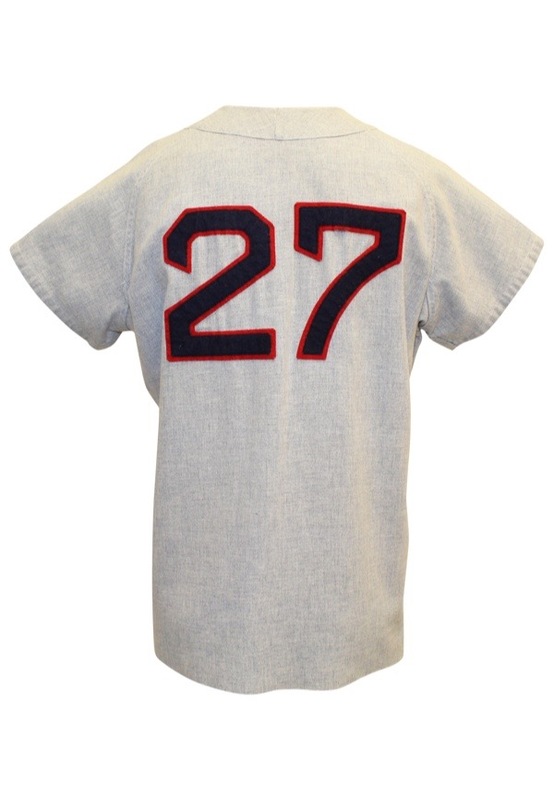 The first half of the season the team wore flannels and they debuted the knits at the 1972 All-Star Game, making this flannel jersey very unique and desirable. This jersey is properly tagged, was presented to us as game-used and in our opinion shows outstanding use. Accompanied by LOA from Photo-Match.com LOA grading the jersey a 9.